Swedish publisher Rabén & Sjögren has just released their fall catalogue and in it we find Kitty Crowther’s Le petit homme et Dieu in Swedish translation. The book will be released in August and it is translated by none other than Lennart Hellsing. “En dag går den lille mannen ut på en promenad. Vid sidan av stigen träffar han på Någonting. – Bli inte rädd, säger den där Någonting. Lättare sagt än gjort, tänker den lille mannen. – Vem är ni? frågar han artigt. Don’t miss this article about Shaun Tan in the New York Times, in which Shaun Tan talks about his inspiration and plans for a feature film based on The Arrival. 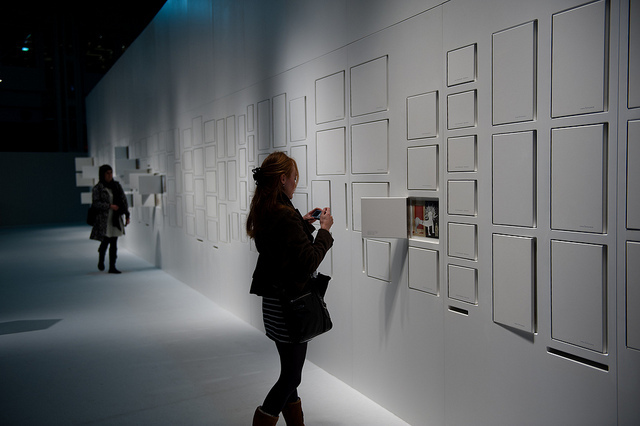 Today is the last chance to see Nikolaus Heidelbach’s exhibition: Almost Alone. Drawings for Everyone curated by Hamelin in Bologna. 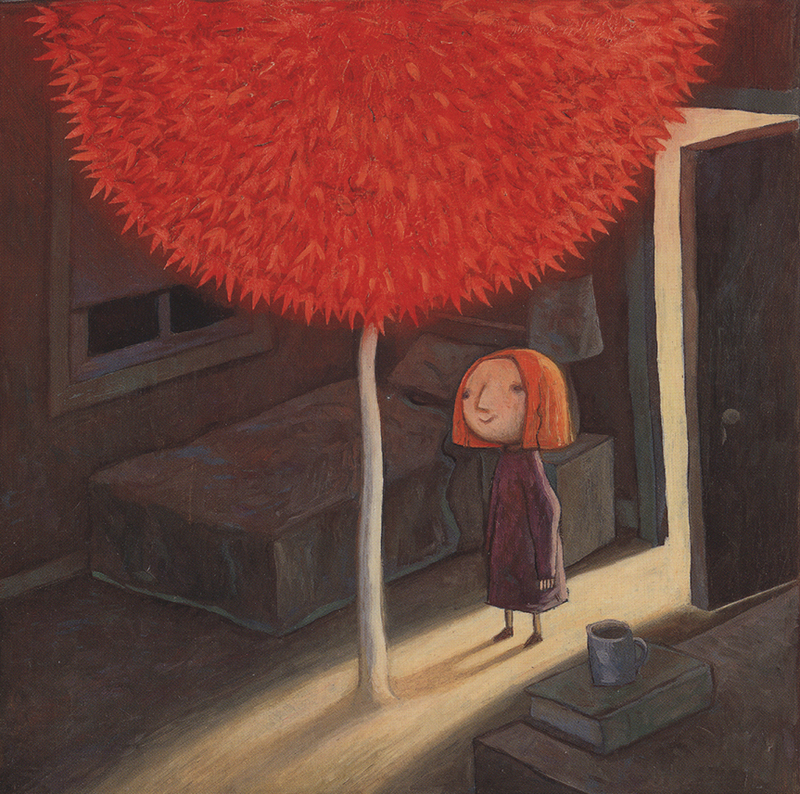 This exhibition was one of the highlights during the Bologna Book Fair as it is an unique opportunity to get an insight into one of Germany’s greatest contemporary illustrators. The work of Nikolaus Heidelbach is not easily categorized. His choice of subject matters, often touching on the taboo in children’s literature, show a childhood which is neither secure nor innocent. 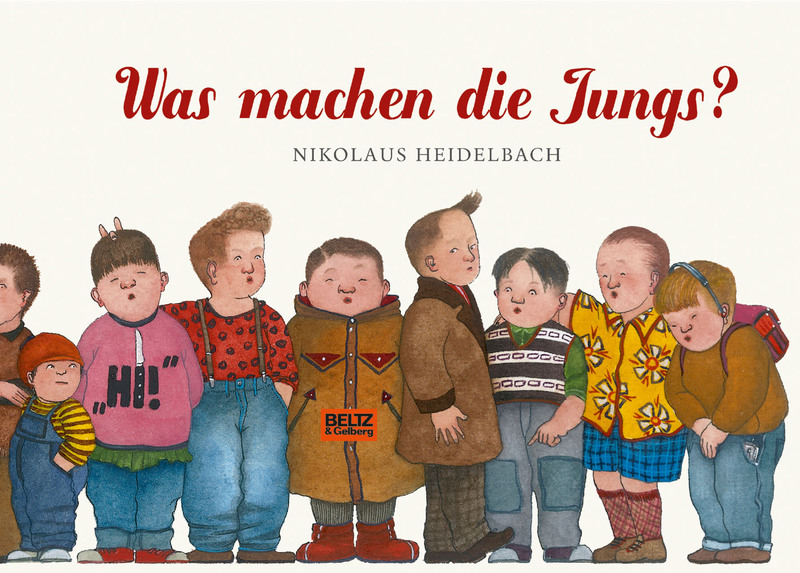 Among others, the exhibition features the illustrations from Was machen die Jungs? published by Beltz & Gelberg in 1999. In this compelling book each letter of the alphabet is represented by a boy in a particular situation. Charles, for example, makes a Faustian bargain with a childlike devil in exchange of a pacifier. 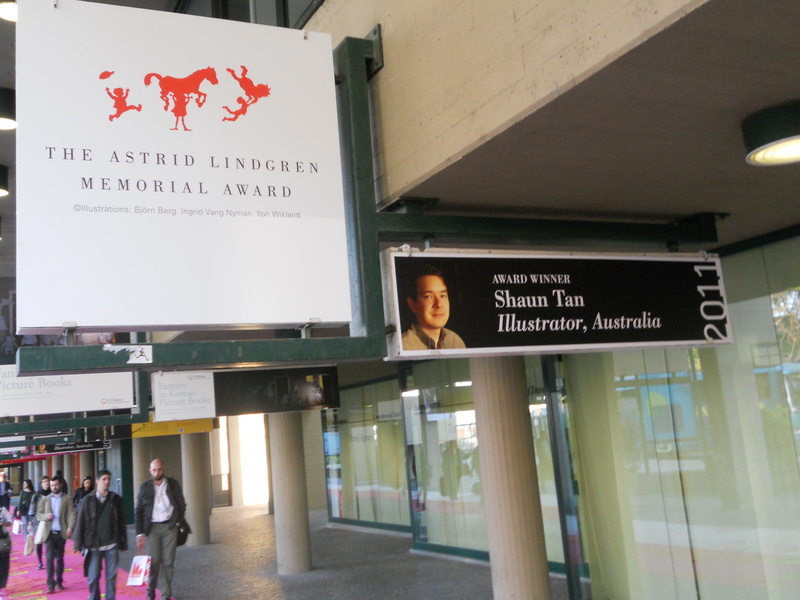 In the audience in Bologna, Ann James cheered as Shaun Tan’s name was announced as the winner of this year’s Astrid Lindgren Memorial Award. Together with Ann Haddon, she founded Books Illustrated, an organization which promotes Australian picture books through their book store, showroom and website. 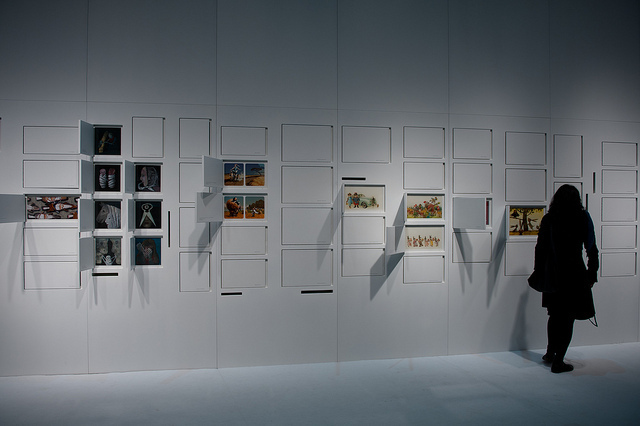 They also organize workshops and curate touring exhibitions of contemporary Australian illustration. Fans of Shaun Tan will be happy to note that Books Illustrated sell both original work as well as exclusive prints by him. 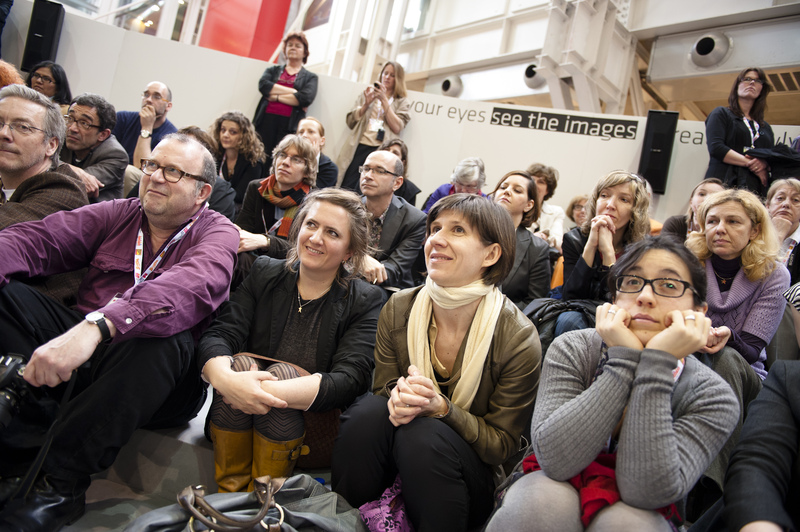 Each year Bologna Book Fair presents a guest of honor – this year it was Lithuania’s turn. 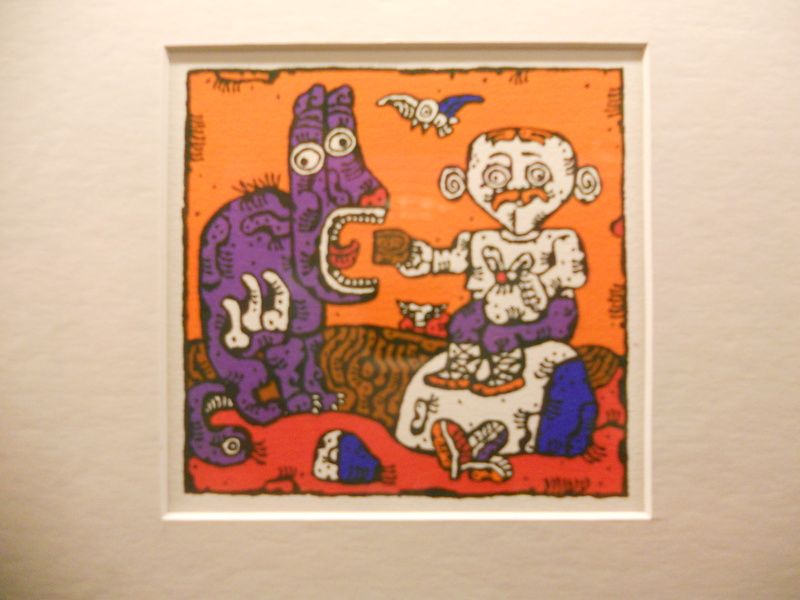 Contemporary Lithaunian illustration was displayed in an inventive and creative exhibition, Illustrarium. While Illustrarium showed the diversity of Lithuanian illustration today, a lesser known part of Lithuanian children’s book history was on display in the city center. The exhibition Soviet gave an unique insight into Lithuanian children’s book illustration during the Soviet occupation 1945-1990. 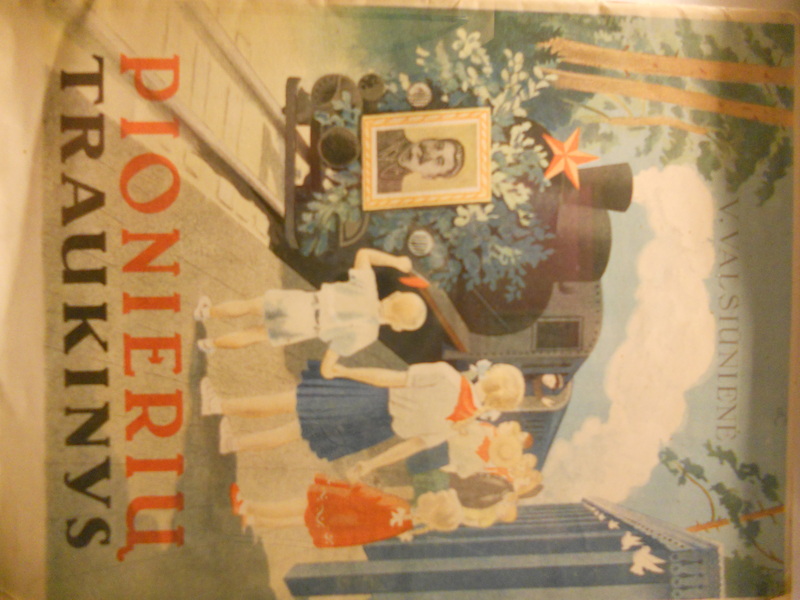 Some of the exhibited books were examples of how children’s literature can be an instrument for propaganda (in this case communist propaganda). Others showed how children’s books can sustain and reinforce national identity. Others still were simply great illustration. Especially notable is the work made in the 60ies, by artists such as Birute Zilyte and Vladislovas Zilius is vibrating with color – combining folk art with pop art in a wonderfully creative way! 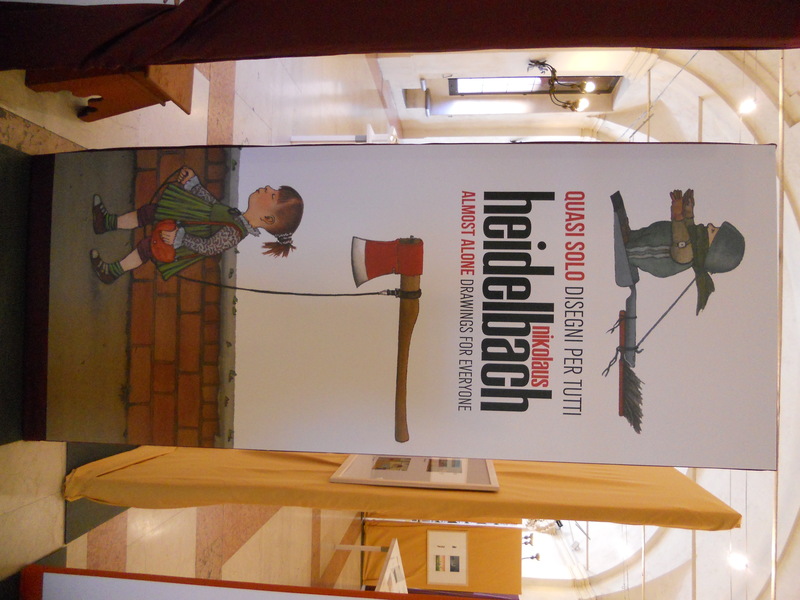 Spending time at Lithuania’s exhibitions in Bologna was a very positive experience – they managed to show both the strength of their children’s book illustration today as well as present their fascinating recent history of illustration. …”The award is not only a personal achievement, but I think reflects broader efforts of Australian authors, illustrators, publishers and supporting associations to promote innovative storytelling on an international stage. I’ve often that our books are some of the most daringly experimental, constantly testing tradition: it’s also worth noting that Melbourne-based author Sonja Hartnett also won this award in 2008. Jury member Maria Lassén-Seger held a presentation about the work of Shaun Tan, directly after the announcement. 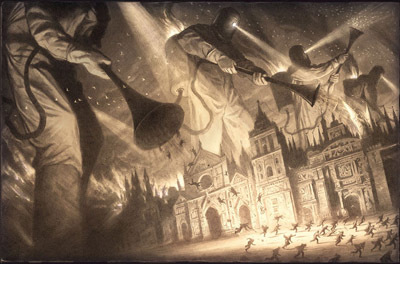 The presentation gives insight in Shaun Tan’s remarkable body of work as well as the jury’s interpretation of it. See the presentation here. 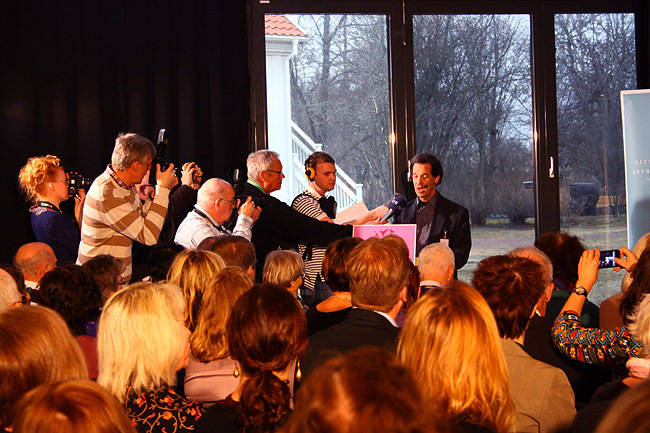 Now a few days after the frenzy surrounding the announcement of the 2011 Astrid Lindgren Memorial Award it’s time to share some images. At 1 pm on the 29th Larry Lempert, the chairman of the jury stepped up on the podium to announce Shaun Tan‘s name and read the jury’s citation. The crowd cheered as Shaun Tan’s name was announced! 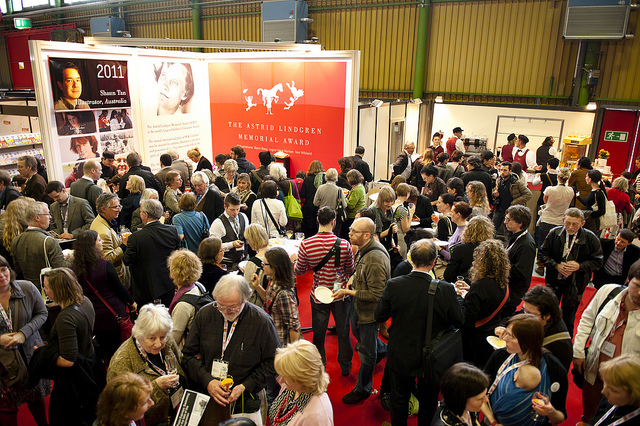 And a toast was raised at the stand of the Astrid Lindgren Memorial Award stand.